Susan McIsaac joined RBC in May 2018 as Managing Director, Strategic Philanthropy. In this role McIsaac provides strategic advice and guidance to RBC’s Enterprise Strategic Clients and ultra-high-net-worth clients in developing their family philanthropic and legacy plans. 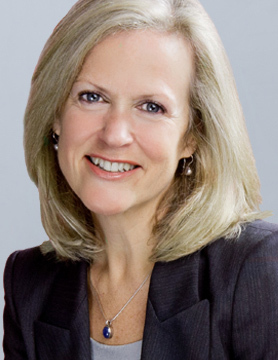 Prior to joining RBC, Susan was the president and CEO of United Way Toronto. A senior executive with United Way since 1998, she was previously the organization’s chief development officer. Under her leadership, the organization grew from $58-million in 1998 to $118-million in 2016. McIsaac has spent a lifetime in service to the community and was awarded a Queen Elizabeth II Diamond Jubilee medal in 2012 in recognition of her efforts. She has been a volunteer and director of numerous organizations, including Greater Toronto Civic Action Alliance’s Board of Directors and the Governor General’s Initiative on Volunteerism and Philanthropy. She is a member of the International Board of Right to Play and of the Advisory Board for Canada’s Top 40 Under 40. In 2014 she was named by WXN as one of Canada’s Top 100 Most Powerful Women and in 2017 she was the recipient of the Toronto Region Builder Award by the Toronto Region Board of Trade.